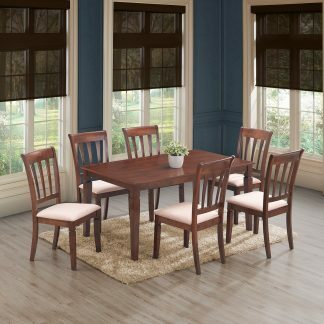 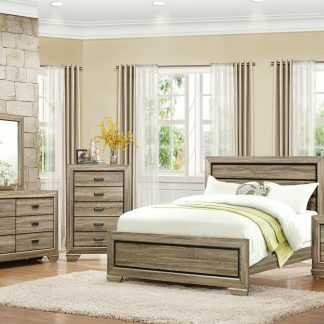 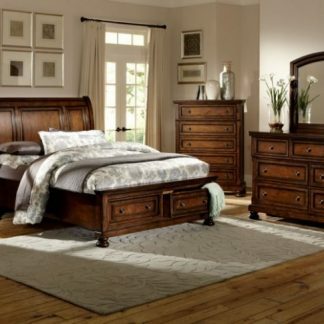 The Charleston Collection adds a stately and traditional look to any master bedroom. 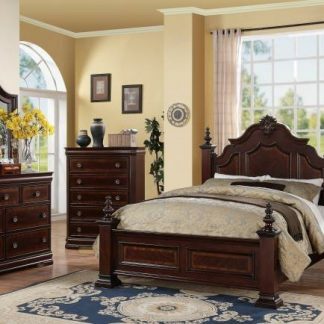 This piece features a tall headboard with raised panels, and crown moldings along the top. 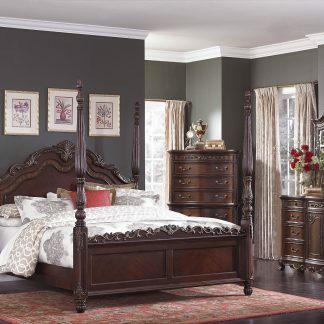 The footboard has strong finials and matching raised panels, creating a cohesive and smart look. 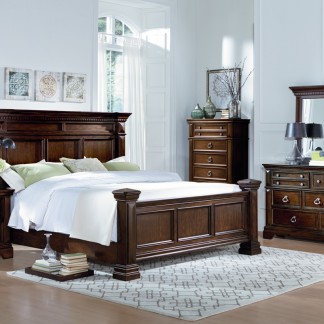 Completed in a burnished tobacco finish, this classic bed is sure to bring an inviting atmosphere to your bedroom.